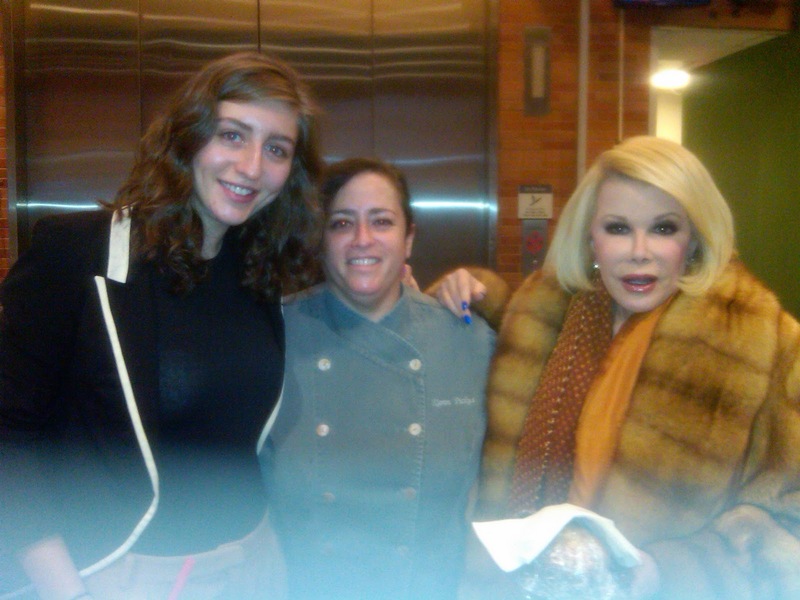 M. Goldsmith, K. Pickus, Joan Rivers... All in a days work! 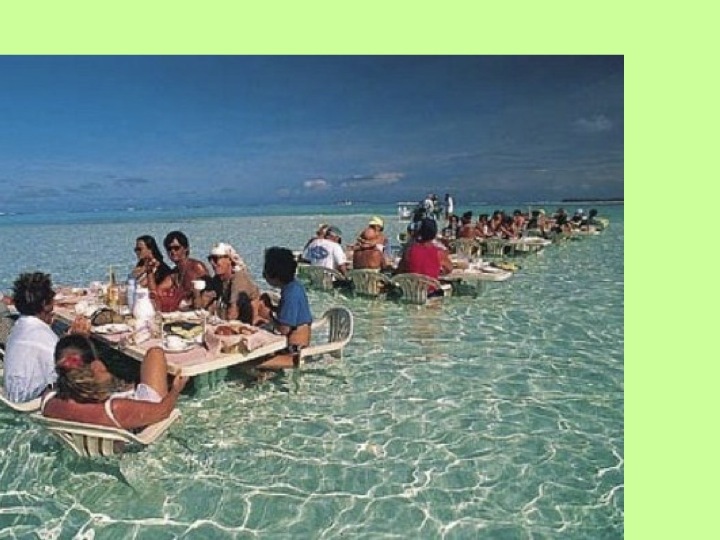 This is my idea of the ultimate dinner party! Me Elmo and Cookie Monster! 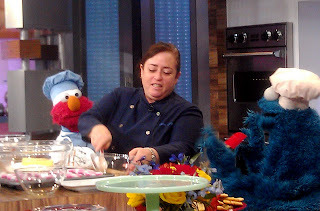 Today I had a great time rehearsing our cooking segment with Elmo and Cookie Monster!